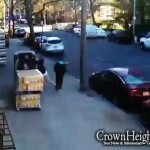 Yesterday evening, a Jewish teenager in Crown Heights called 911 and reported that he had been the victim of a hate crime. Police responded by swiftly arresting and charging the suspected perpetrator, but later discovered to their chagrin that the whole thing had been made up. Police responded to the scene and swiftly caught and arrested the alleged perpetrator, charging him with attempted robbery and a hate crime. However, amid a subsequent interview with the alleged victim, police detectives discovered inconsistencies with his story. After further questioning, the ‘victim’ admitted that he had fabricated the story in an attempt to get back at the man following a verbal altercation. The officers apologized to the accused man and released him from custody. I hope the Jewish boy who made the false allegation faces criminal charges for wasting police resources and potentially ruining an innocent man’s life. Disgusting. The alleged “Victim” is a punk! I myself would have disciplined the ‘boy who screamed wolf’. Most well-publicized “hate crimes” are hoaxes. And yes, that includes many purportedly “anti-semitic” incidents that get a lot of publicity. But this is different, because usually a sign of a hoax is that there is no information about the alleged perpetrator and it seems that nobody is really looking for one. In this case the hoaxer accused a specific person and got him arrested. It’s disappointing to see someone in our community behave like that. I hope he has been arrested and charged. Totally disagree. most reports of antisemitic hate crimes are genuine: in fact, this is the first fabrication I have heard of. Please state your sources & give more details. What kind of nonsense have you come up with now, “Milhouse”? If this is the first fabrication you’ve heard of then you clearly haven’t been paying attention. Any time you hear of a “hate crime” that attracts a lot of attention, but there is no evidence of who did it, be very suspicious. According to Milhouse’s logic, most antisemitic graffiti, assuming it falls under the category of a hate crime, is not the product of an actual hate-filled perpetrator but, rather, is actually being committed by a Jew. Please, Milhouse, spare us your quasi-intellectual hogwash and get a life. What a shame that a bright guy like yourself must get his jollies by picking pointless battles in a faceless online forum. Why is it so hard to keep a story straight? Leave the kid alone. The alleged perp must be guilty of something else. the commentators above make me ashamed of being a part of this community. So what if he had an altercation? What makes you think the guy did anything wrong? The kid is clearly at fault and needs to be charged, just as we would expect charges if the roles were reversed. The problem here is that he’s “poisoned the well” for the future. From now on, when any other Jew gets attacked (R”L) in a hate crime, public opinion, and that of the authorities, is likely to be, “Nah, it’s probably just made up” – after all, there is now a precedent for that. If nothing else, _that_ is a strong reason to “throw the book” at him and prevent such a thing from ever happening again. Not sinas chinam, but a clearheaded view of the repercussions of his action. 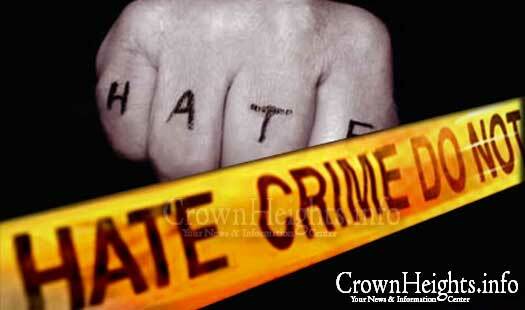 Don’t we have enough REAL hate crimes going on??? Why the need to fabricate one? Apparently not, at least according to Milhouse. a Chilul Hashem of epic proportions! Got to love the free entertainment you get from MILLHOUSE! The guy takes krumkeit to the ‘nth degree! The boy had a big argument with the black guy. The black guy may have been anti semetic so the boy wanted to get his own back. He was so annoyed with the black guys verbal spuke he wanted him punished. He is only young and wasnt aware of the outcome. Shame for him. Also the black guy needs a good talking to and tell him not to interfere again with other decent communities. The jewish boy must not be punished in any way. Weve had enough problems. who said it is a lie it could be it is true, maybe they don’t think its true, until there is clear proof you cant say anything. pure sinas chinom! The boy is a teen, not a child. He knew what he was doing was wrong. He deserves to be reprimanded accordingly. No additional information is provided about the altercation leading to the lie, and it is unfair for us to assume it was instigated by the African American or to make assumptions that the man was making anti-Semitic remarks. The only hard facts here is that an altercation occurred and this teen decided to lie and potentially ruin the life of, in context, an innocent man. The teen, should he be Jewish or not, deserves reprimand.